Remember the good old days, when most people could depend on staying in the same job in the same community for an entire career? Okay; the truth is, I don’t actually remember any time like that—but I do remember watching TV shows about it... The truth is, as with so many other facets of 21st Century life, sudden career upheavals that cause a St. Cloud citizen to undertake an abrupt relocation are fairly common today. And accelerated timing requirements can make the situation more intense. Even without that added obstacle, familiarity with the ins and outs of practical relocation is one of the most valuable assets you gain access to when selecting an experienced St. Cloud Realtor®. Especially when a relocation is in your immediate future (even if it’s a future that became apparent without a lot of warning), the reality of having to deal with the mass of details accompanying both moving out and moving in can seem like a huge gray, angry-looking cloud hanging overhead. Once a timeline is determined and a To Do checklist assembled, it will be possible to stay on top of the process. Most importantly, it will help highlight those details that seem to be falling behind— allowing them to get extra attention. Staying abreast of relocation details is the single most important key that will lead to a smooth outcome. It’s one of Murphy’s Laws that, come moving day, any detail that has been put off until the last minute is likely to cause foul-ups of one kind or another. For instance, if the electric service wasn’t notified far enough in advance, count on the move taking place on the hottest day of the year. 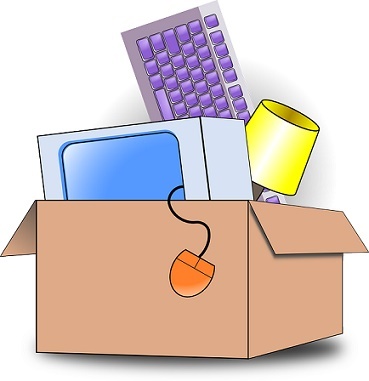 Unpacking cartons and moving furniture around without working air conditioners is a memory best avoided! Any relocation is a challenge that requires a welter of decisions in areas that fall outside what people encounter in everyday living. Fortunately, it’s a challenge that your St. Cloud real estate professional encounters regularly. Help with practical relocation to (or from) St. Cloud is just one of the areas of practical expertise that is yours to tap into when you put an experienced Realtor on your team. The days when most Americans expected to stay in the same community for a lifetime may be fading from memory, but being able to rely on your St. Cloud real estate professional to help master some of the most challenging upshots is still here. They may say that nostalgia isn’t what it used to be, but that shouldn’t stop you from giving me a call, anytime!